The government has set up a group of secretaries to review a recently released draft ecommerce policy, which has drawn severe criticism from many stakeholders. The nascent but booming online retail space has largely been without regulations until a task force led by then commerce secretary Rita Teaotia put together the draft policy. The new group will be chaired by the secretary in the department of industrial policy and promotion (DIPP). Secretaries of the IT ministry and department of commerce as well as representatives of Niti Aayog and the department of economic affairs are other members of the group. Jack Ma, who founded e-commerce giant Alibaba Group and helped to launch China's online retailing boom, has announced that he will step down as the company's chairman next September. In a letter released by Alibaba, Ma said he will be succeeded by CEO Daniel Zhang. Ma handed over the CEO's post to Zhang in 2013 as part of what he said was a succession process developed over a decade. Regulator TRAI has imposed penalties on major telecom operators, including Reliance Jio, Bharti Airtel, Vodafone and Idea Cellular (now merged), for slipping on various service quality benchmarks for the March quarter. The fines cover various parameters and service areas, and all the operators are in the process of making the payment, sources told PTI. US President Donald Trump called for Apple to make its products in the US instead of China to avoid suffering the consequences of his trade war with Beijing. 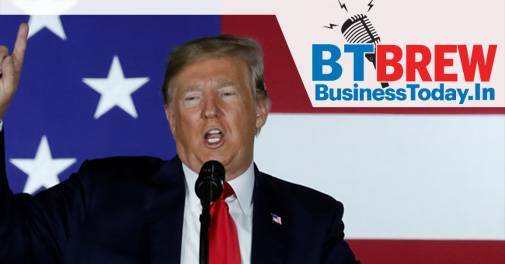 Trump has repeatedly called for companies to move production to the United States, or to keep it there, while pushing aggressive trade actions aimed at narrowing the US trade deficit, which he equates with theft from Americans. According to PTI, advocating free flow of data across borders, Google CEO Sundar Pichai has written to IT Minister Ravi Shankar Prasad saying such a step will encourage global companies to contribute to India's digital economy as well as benefit Indian startups that are looking at expanding globally. The development comes at a time when the government is working on a data protection framework for the country.